Ability Text: You may choose new targets for target instant or sorcery spell. Then copy that spell. You may choose new targets for the copy. 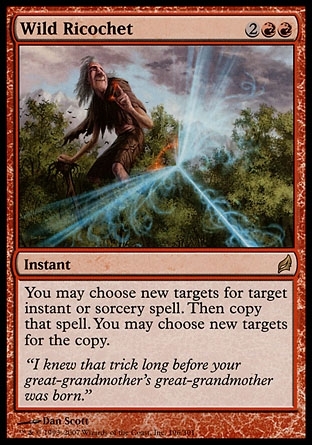 Flavor Text: I knew that trick long before your great-grandmother's great-grandmother was born.